The U.N. weather agency announced that the last four years have been the warmest ever recorded since reliable measurements began. The World Meteorological Organization (WMO) also says that the 20 warmest years in history occurred during the past 22 years. The WMO went on to point out that the unprecedented warming continues this year, with Australia experiencing its hottest January on record. “The degree of warming during the past four years has been exceptional, both on land and in the ocean,” said WMO Secretary-General Petteri Taalas. The distinctive blue color that Earth presents to the universe may be altered by the end of this century due to effects of a warmer climate. A team of U.S. and British researchers modeled how phytoplankton absorb and reflect light, and how the ocean’s color will change as global warming alters the composition of those microorganisms living in it. The scientists predict that blue regions, such as the subtropics, will become more blue, while areas nearer the poles may turn a deeper green as warmer waters stimulate larger and more diverse blooms of phytoplankton. “There will be a noticeable difference in the color of 50 percent of the ocean by the end of the 21st century,” said lead researcher Stephanie Dutkiewicz of MIT. Phytoplankton are an essential part of the marine food chain. But according to new research, their numbers are dwindling. Phytoplankton is one of the planet’s most valuable resources. They form the basis of the marine food chain and provide half the ocean’s oxygen (while trees, shrubs, and grasses provide the other half). Hurricanes churn the ocean, bringing up nutrients like nitrogen, phosphate, and iron from the depths of the ocean and introducing them to the surface levels where plankton live. In turn, the phytoplankton bloom and spread, and marine life grows with it. As the climate warms, so will the oceans—bad news for phytoplankton, since warm waters contain less oxygen, and therefore less phytoplankton, than cooler areas. Already, gradually warming ocean waters have killed off phytoplankton globally by a staggering 40 percent since 1950. Because phytoplankton migration would cause marine life to move with it (or die, should organisms fail to adapt quickly enough to the change in their environment), that has the potential to seriously affect fisheries and other economies in the coastal areas, including food security. Rapidly decreasing presence of marine phytoplankton, a micro-algae consumed by small fish and responsible for reducing carbon dioxide in sea water, in the western Indian Ocean due to global warming may reduce the oceanic region to an ecological desert, scientists have warned. A joint study conducted by scientists at the Indian Institute of Tropical Meteorology in Pune and the National Institute of Oceanography (NIO) in Goa has revealed the quantum of phytoplankton has witnessed an alarming decrease at the rate of 20 percent over the last six decades. 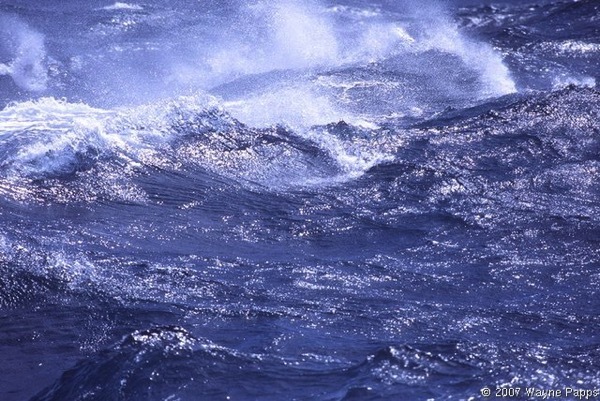 The study has pointed out that the drop in phytoplankton in the western Indian Ocean is particularly alarming, because the oceanic region hosts one of the largest concentrations of marine phytoplankton blooms in summer. Scientists at the Goa-based NIO have already warned of a potential fish famine off the coast of Goa, due to over-fishing and excessive pollution in the waters of India’s western state. 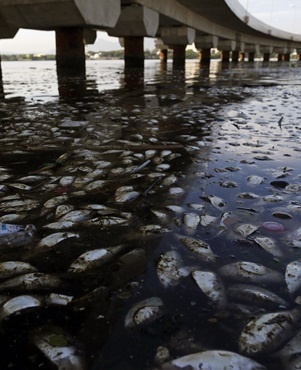 Thousands of dead fish washed up on the banks of a polluted lake on Monday in India’s southern technology hub of Bangalore. A stink pervaded the air in a residential district around Ulsoor Lake in central Bangalore. Sewage from many parts of the city has been flowing into the lake, depleting oxygen levels in the water. India has some of the world’s most polluted air. More than half of its 1.2 billion people still defecate in the open, causing rivers and lakes to stink with sewage. A new study has revealed shocking data that shows the adverse effects of rising temperature on the water bodies and organisms living in them too. According to the study, there has been significant fall in the number of fishes present in the rivers and oceans in last five years due to which fishermen are finding it difficult to fill their boats for the living. Researchers started testing and found that rising temperature has affected the population of phytoplankton. There has been 20 percent reduction in the amount of phytoplankton over last six decades said Roxy Mathew Koll, a scientist at the Centre for Climate Change Research at the Indian Institute of Tropical Meteorology in Pune. Phytoplankton is a microscopic plant that plays an important role in food chain cycle as fishes eat them as their food. Reduction in the amount of phytoplankton means lesser food available for fishes which further may cascade through the food chain, potentially turning this biologically productive region into an ecological desert. These changes are due to the rising temperature as Indian ocean has witnessed 1.2 degree Celcius average temperature rise over last century. Study authors explained that ground water is nutrient rich and surface water mixes with groundwater to receive necessary nutrients. Hotter surface temperature leads to improper mixing. Since planktons grow in surface water, there has been nutrient deficit which has led to the population decline. The impact can be seen near the coast line around India, Sri Lanka and Bangladesh. Countries including America, Europe and Japan will also soon experience the impact. Thus, researchers have warned that strict steps are required to control the catastrophic condition. The Southern Ocean is reckoned as the cloudiest region in our planet and it almost nearly blanketed all through the year. But it might be surprising that it is the tiny marine organisms known as Phytoplankton that live in the stormy waters of the ocean that are responsible for creating these clouds. Measuring how the gases and particles emitted by these tiny creatures entered the atmosphere to become cloud seeds was the subject of a recent study. This study was also the first large scale correlation between cloud formation and biological activity in the Southern ocean. Establishing that link constitutes a significant first move towards understanding the role played by clouds and the tiny particles of air known as aerosols in the context of climate change and climate modelling. In climate models, aerosols and clouds constitute two important wild cards and comprehending their impact on climate gets further complex when we consider the question of how they interact with each other. Soot is a type of aerosol that comes from human activities, but we also have other natural aerosols like sulphate, sea spray and ammonium salts in the atmosphere. All these particles form the ‘seeds’ and water vapour condenses around these to become tiny droplets and turn into clouds. Clouds can have a key role when we consider climate – but that role is complicated. The planet tends to get cooled by the low lying clouds that functions as reflectors and bouncing the solar radiation back to space. Higher clouds on the other hand tend to trap the heat and prop up warming. Climate models in the Southern Ocean have been pretty poor in capturing the influence of the clouds by estimating less reflected radiation than what actually exists. Scientists will have to understand more about aerosols that help in formation of the clouds and how they have impacted the climate over the past 2 centuries, to improve these models. But the task gets difficult for tracking in the absence of knowledge on the number of ‘natural’ aerosols present in the atmosphere before industrialisation began. If concentration of aerosols were higher during the preindustrial times, then the impact from human perturbations to aerosols would be smaller. This also brings into focus the Southern Ocean. Apart from being the cloudiest place on the planet, it is also one among the cleanest and relatively unharmed by human activity. That makes it the perfect laboratory for examining the interaction between cloud and aerosols.